Only in his twenties, Phillips Lord played a character many decades older. 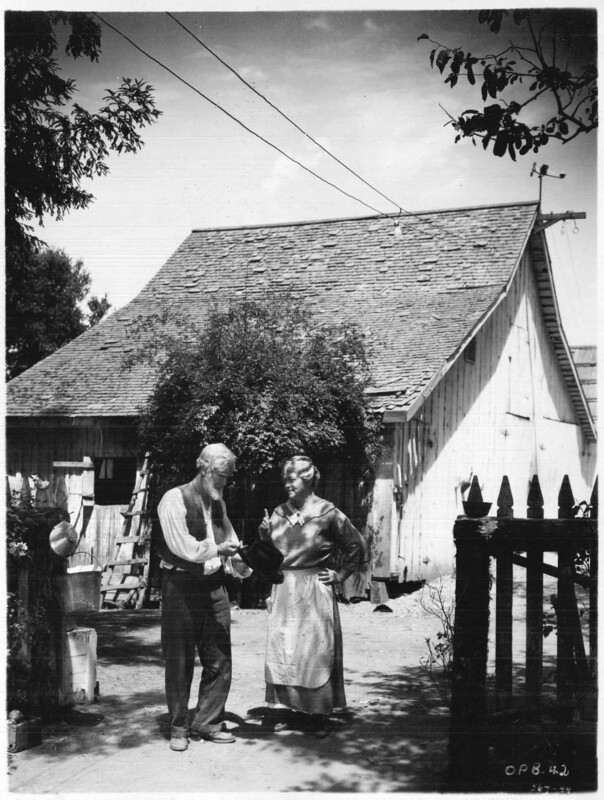 Seth and Ma Parker, undated. Folder “Photos — Ma Parker and Seth Parker Characters,” Box 18, Phillips H. Lord papers, American Heritage Center. Phillips Haynes Lord (1902-1975) was a radio star from the 1920s through the 1950s. He was only in his twenties when he achieved nationwide fame for his radio programs, the most famous among them being “Gangbusters” and several having to do with the “Seth Parker” character he created. “Seth Parker” was based on Lord’s own grandfather, Hosea Phillips. “Seth Parker” was a clergyman and rural philosopher of Jonesport, Maine. The show was an instant hit, and included a musical component. 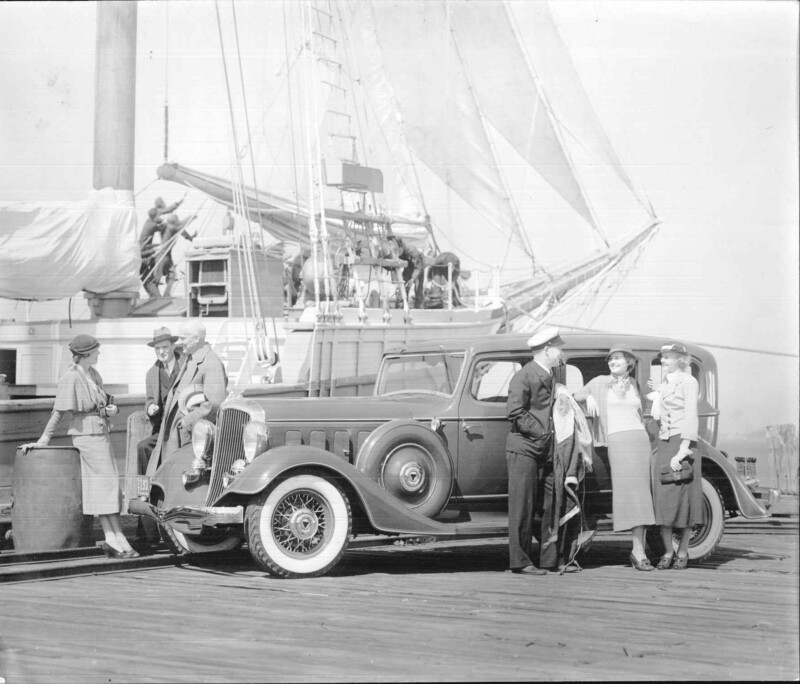 Books and gospel records from the show were sold, and in 1931 a feature film Way Back Home was released, starring Lord and Bette Davis. 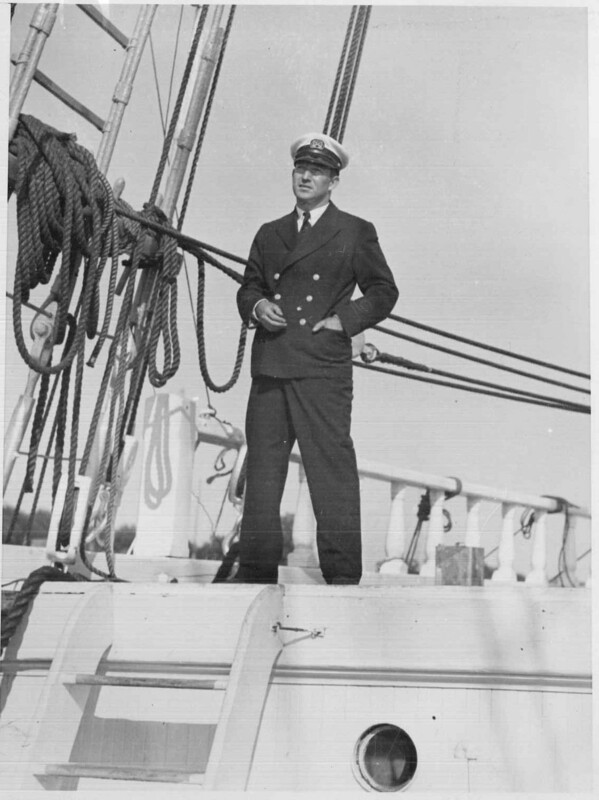 Phillips H. Lord aboard the schooner “Seth Parker,” Folder “Photos–Lord, Phillips H. undated,” Box 19, Phillips H. Lord papers, American Heritage Center. “Seth Parker” Crew and visitors, Box 18, Phillips H. Lord papers, American Heritage Center. This entry was posted in radio history, Uncategorized. Bookmark the permalink. My Great Grand Uncle, Captain James W. Thomson (born December 11, 1863), who was originally from Arbroath, Scotland, became rather famous, I’m told, after Phillips Lord broadcasted a dramatization of a true life experience from Capt. Jim’s seafaring days. I’m told Captain Jim jumped overboard to save someone (perhaps off the coast of Spain) who had been aboard his ship. I’m wondering if there is any record (or recording, for that matter) of this broadcast and if you folks can shed any light on the subject … and the event. Please contact me at your convenience, should you require additional information or background. Thank you most sincerely in advance for your time & attention! Hi James, someone from our Reference Department will be in touch shortly. Thanks for reading the AHC blog!